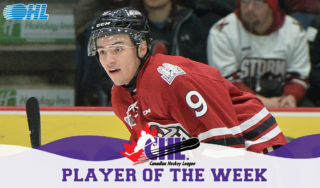 The Storm have announced that, for the second week in a row, forward Pius Suter is the club’s HY-GRADE STEEL ROOFING PLAYER OF THE WEEK for the week ending March 9, 2015. Suter scored four goals and added one assist in two games and was a +4 as the Storm went 1-1 this past weekend. Friday night at home, Suter put forth a first star performance scoring twice, including the shorthanded game winner. 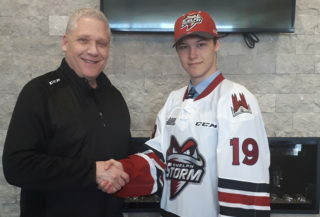 The 18 year old also helped set up Jason Dickinson’s shorthanded insurance goal as the Storm downed the Attack 3-1. 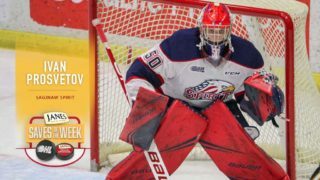 Sunday afternoon in Sarnia, Suter was by far the best Storm player on ice, scoring both goals in the 5-2 loss to the Sting. Currently Suter sits second in overall team scoring with 66 points. He is second in goals scored with 38 and plus/minus with +21. He has recorded at least one point in his last ten games, six of those have been multi-point efforts. Since February, the Swiss forward has been the Storm’s most consistent player scoring 23 points in 14 games. 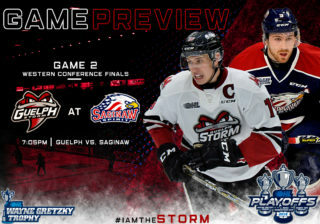 Next up, the Storm face a weekend away from the Sleeman Centre heading to Windsor on Thursday night and Kitchener on Friday. 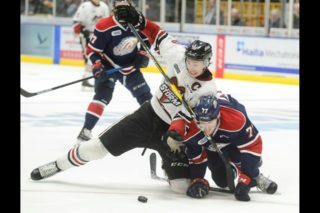 They return home on Tuesday, March 17th for RBC Day in support of the Guelph Giants. The Storm will wear special St. Patrick’s Day jerseys for that game that will later be auctioned off with all net proceeds going to the Guelph Giants Special Needs Hockey Club. 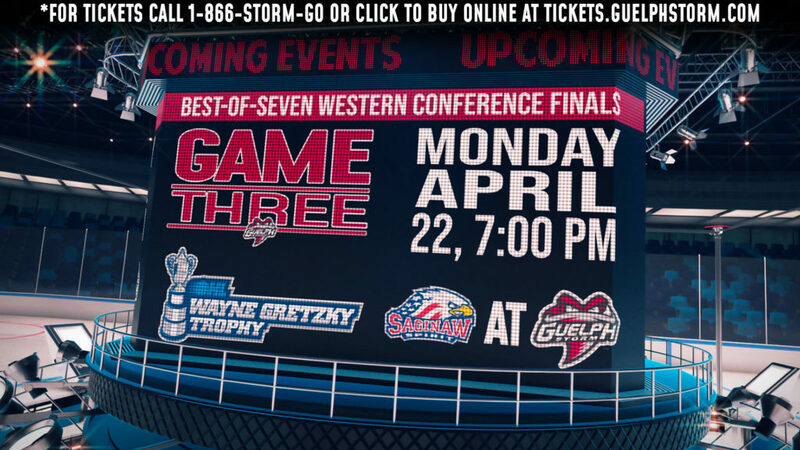 Tickets are still available and can be purchased online or by visiting or calling the Guelph Storm Box Office at 519-837-9690.